YOUR PARTNER IN PROTECTING YOUR INVESTMENTS, TODAY, TOMORROW AND IN THE FUTURE. Your Home. What could be more important? It is the place where you build a life for yourself and your family. Protecting it is critical. We are here to help you do exactly that. Let us review your Homeowners Insurance needs, and put together a comprehensive policy that protects you and your family the way YOU need and want it to. With the increase in storm activity in our area, it is more important than ever to make sure your policy covers everything it should. Contact Community-Shirley Insurance today so we can work with you and put your mind at ease. Dwelling Coverage: This is what covers the physical structure of your home. In most cases, it is based on the estimated cost to rebuild the structure from the ground up. Personal Property: This coverage protects your electronics, furniture, appliances, clothing- most of the things you buy for and keep in your home. Scheduled Articles. Do you have jewelry? Silver? Collectibles? 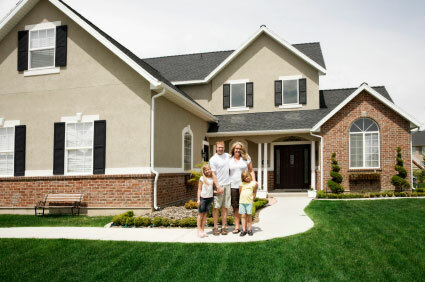 Homeowners insurance can provide comprehensive coverage for valuable personal property when these items are scheduled. Sewer and Drain: Did you know that most basic Homeowners Policies do not cover the damage done to your home by a sewer or drain backup that occurs inside of it? This is a very important coverage that we recommend to all of our clients, regardless of home construction. These are just a few examples of the many coverages provided by and available on our Homeowners Policies. We will take the time to ensure that your policy has the coverages YOU need to protect your home, your family, and yourself. Multi-Policy Discount: You can save on your homeowners insurance with each additional qualifying policy you add - auto, business auto, personal catastrophe liability or a life policy. Fire, burglary alarm, sprinkler system credit: Install smoke alarms or a burglary alarm system in your home and take advantage of additional discounts. You could also save if your home is equipped with an automatic sprinkler system. Advanced Quote Discount: You get a discount just for thinking ahead. If you get a quote seven to 60 days before your policy takes effect, you get this discount.